The Office of National Statistics have revealed that the average age of mothers across both England and Wales is now 30, supporting the trend for women delaying having their families. The British Pregnancy Advisory Service agreed, saying that mothers were now older than elsewhere in the world when they had their first baby, with average family size also falling from 1.94 children to 1.85. The number of babies born has also decreased by 4.3% since 2012. The figures also showed that a quarter of births in the UK were to mothers born outside of the UK, and the stillbirth rate has fallen in 2013 to 4.7 per 1,000 births, compared with 4.9 back in 2012. Interestingly, the fertility rate for women aged over 40 has nearly trebled since 1991, while for women aged between 35 and 39, fertility has increased by 84% over the same time period. 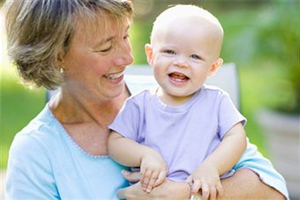 The report stated that the average age of mothers has slowly been on the rise since 1975, with many reasons cited. These include factors such as more women going on to higher education and valuing the importance of their careers, choosing to work. Financial aspects were also considered, such as the costs of childbearing and housing, with the stability of partnerships also mentioned.